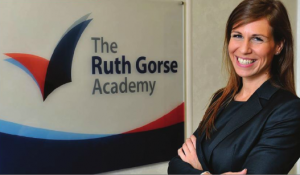 At the Ruth Gorse Academy in Leeds, Rebekah Taylor is one of the country’s youngest principals. Opened in September 2014, The Ruth Gorse Academy will be moving to a new £23m, purpose-built facility in 2016. She explains the benefits of being a part of The GORSE Academies Trust and why the academy chose to open two years before the new build will be ready. Read the full interview with Rebekah on the Education Today Digital Edition here.